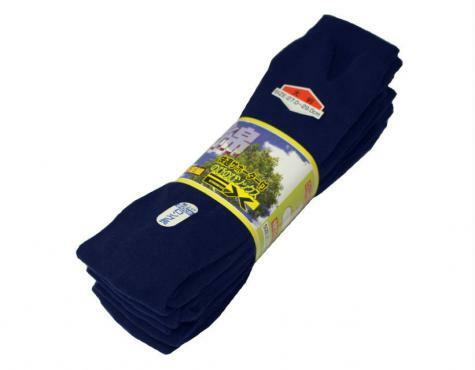 Pack of 5 - Large Knee-high Tabi Socks! These heavy duty size navy tabi socks are ideal for any situation and essential for wearing with Japanese jikatabi or sandals. 100% cotton with extra support for the arches and calves. Knee height.